It's been a hell of a year for Mark Zuckerberg and Priscilla Chan, who adorn a TIME magazine cover this month as two of the members of TIME's renowned "100 Most Influential People" list. Fittingly, Bill and Melinda Gates wrote the tribute to Zuckerberg and Chan; the Facebook co-founder and his philanthropist wife are often compared to them. Like the Gates' before them, Zuckerberg and Chan have formed their own philanthropic foundation in an effort to enact change around the world. We admire Priscilla Chan and Mark Zuckerberg’s vision of an interconnected world where all people have a chance to make the most of their talents. Priscilla and Mark are curious. Ambitious. Thoughtful. Open-minded and bighearted. Willing to learn and grow. And they care deeply about fixing the inequities they see in the world. Mark already built a company that changed the way people connect, and Priscilla devoted herself to the health and well-being of children by becoming a pediatrician. 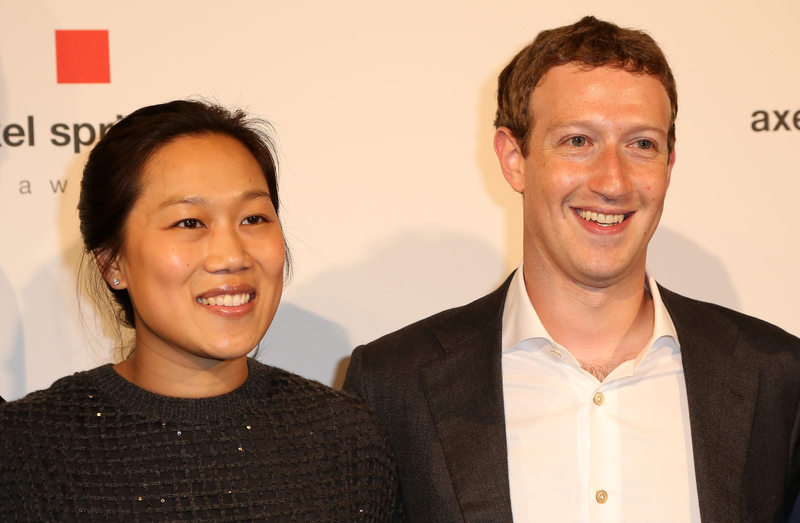 Now they have inspired people around the world by creating the Chan Zuckerberg Initiative and committing 99% of their wealth to taking on challenges like improving education, curing disease, connecting people and building strong communities. Changing the world once was not enough for them. We can’t wait to see what they’ll do in the decades to come. TIME unveiled six covers for its biggest "influencers," featuring Leonardo DiCaprio, Nicki Minaj, Zuckerberg and Chan, Lin-Manuel Miranda, Priyanka Chopra, and Christine Lagarde. Last December, in addition to pledging to give away the vast majority of their Facebook shares to their foundation, Zuckerberg and Chan welcomed a baby girl, Max.